Not everyone is in the market for a full blown renovation. Sometimes a focused investment to boost the player experience or a little TLC to reduce repair and maintenance costs is all you need. Our experienced and highly efficient crews are experts at minimizing day-to-day disruptions at facilities undergoing a limited scope project while staying open for business. 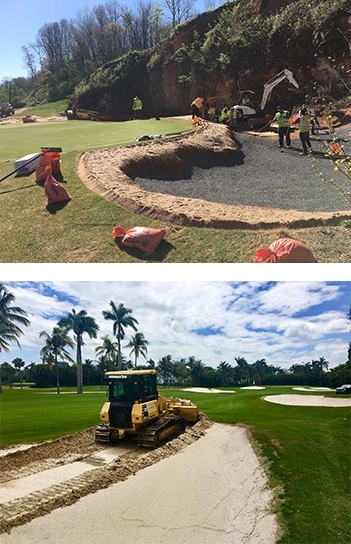 A sampling of our more common limited scope projects are listed below, but there are a few limitations on the variety of golf, recreation and green space services we can offer.